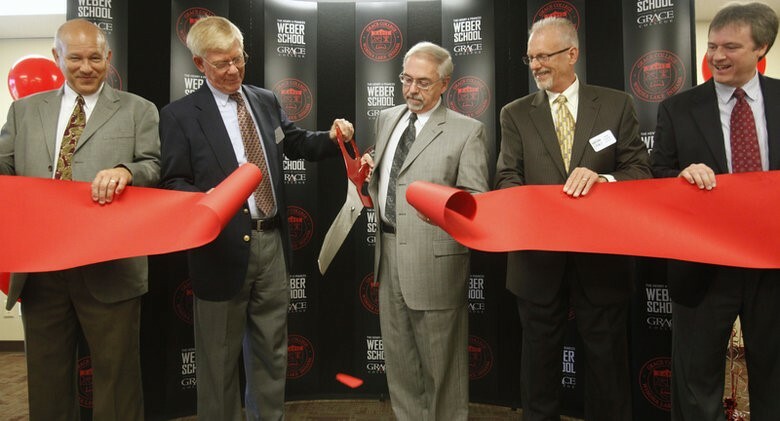 A ribbon-cutting ceremony for the Indianapolis campus of the Henry and Frances Weber School at Grace College and Seminary was held this past Friday. 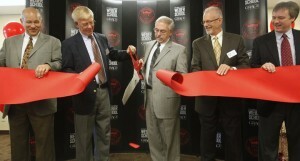 The school’s Executive Director John Teevan and Dr. Ronald Manahan, president of Grace College, help cut the ribbon for Henry and Frances Weber School on the second floor of an office building at 9302 N. Meridian St., Indianapolis, on Friday, August 12, 2011. Grace is also opening the school in a building in Fort Wayne. The school will offer a two-year associate of arts degree in general studies. The program is designed to allow to students to continue their education at the Winona Lake campus or transfer to another college to complete baccalaureate degrees.